Today at noon eastern standard time, day one of the Canadian 8 Ball Championships got underway. A modest sized field of 24 players signed up for this event. However with names like John Morra, Jason Klatt and Erik Hjorleifson in the field it ensures that this title will be fiercely contested. It is expected that later on in the week during the 9 & 10 ball events they will have slightly bigger fields. The first match I was able to watch on the free live stream was Shannon Ducharme vs Jason Klatt. To some Ducharme might be a bit of an unknown but I remember seeing him in Ottawa back in December 2007. This was at the Canadian 9 Ball tour stop held at Tailgators, living only an hour a away I took the trip up with a few friends. By the time I got there the finals were just about to start which John Morra ending up winning. Simultaneously a few tables over just as many people where watching Ducharme take on Edwin Montal in a money match. I don't remember the exact dollar figure but it was significant and Ducharme walked all over Montal to take the cash and left an impression on me as it was my first time seeing two top players in Canada go at each other. Being from Winnipeg and not traveling as much, Ducharme is a lesser known talent. However Klatt who is also originally from Winnipeg knew the task at hand. Ducharme got up to an early 4-1 in this match and maintained his lead throughout the match until Klatt caught up at 8-8. Ducharme was able to secure the last game for the first minor upset of the day. Ed Baker from Saskatchewan, who I believe is the only qualifier to participate this week, provided the other minor upset. In the first round he met up with Mario Morra and came out a 9-5 winner. The younger John Morra who has been performing at even higher level than usual as of late, cruised through today. He won his 3 matches 9-1,-9-4 and 9-2. Baker fresh off his win against Mario Morra, was looking to slay another high profiled player, last years 2014 Canadian 10 Ball Champion Erik Hjorleifson. Baker took the lead early and looked as if he was going to maintain it going up 5-2 and 7-3. However a few errors, including a mental one changed the set. Hjorleifson scratched off the break and Baker took ball in hand. Instead of putting the cue ball behind the line he took it as if it was a normal scratch and put the cue ball wherever he wanted. Baker never seemed to recover from this mental error as Hjorleifson picked up his level a bit and secured the 9-7 victory. After a hard fought double hill match on the losers side, Dan Lewis of Hamilton worked his way into day 2 of the 8 Ball event. He barely edged out the very strong Ed Baker 9-8. At the time of print the final match of the night was still underway. This was another losers side match between Kyle Richards and Mario Morra. Final 4 winners side matches will be Erik Hjorleifson vs Shannon Ducharme and John Morra vs Tom Theriault. 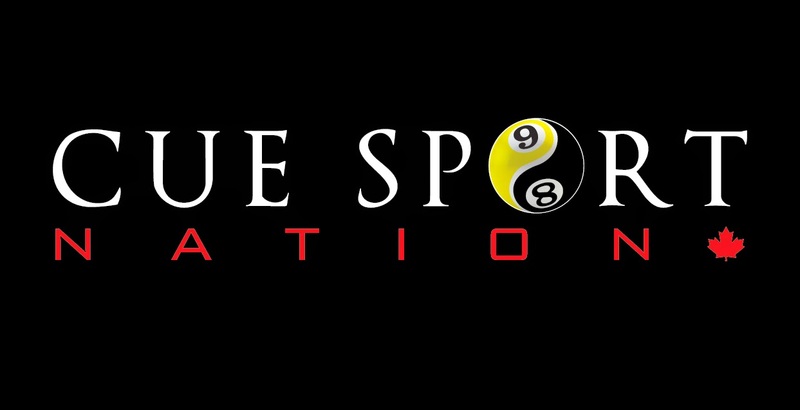 Make sure to check out the Canadian Billiard & Snooker Associations (C.B.S.A) free live stream. Play begins Tuesday March 31 at Noon (E.S.T).